Sold at a reasonable cost of Rs. 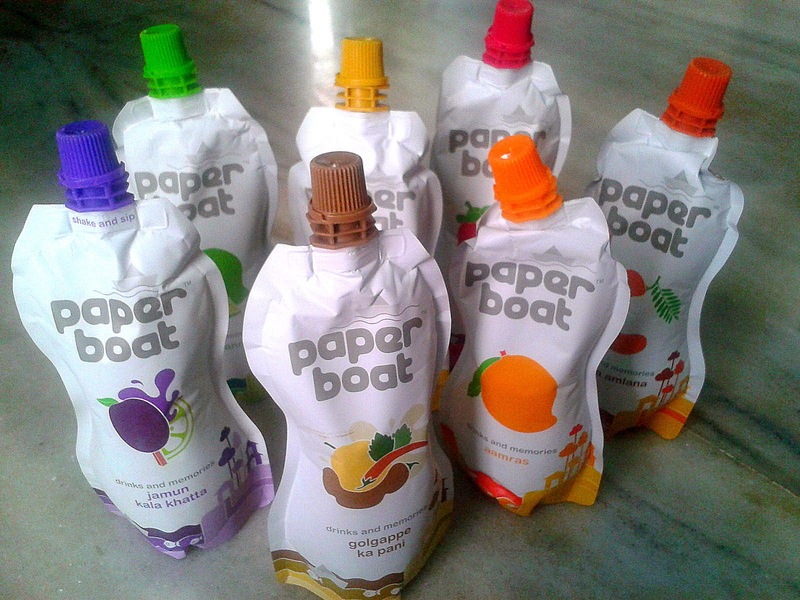 30/- for every 250ml of juice, the packaging boasts of honest Indian drinks with no added preservatives and artificial flavours, as we found out after tasting their drinks. Every sip is a refreshing one with the sweetness and tanginess of the natural flavours flooding the mouth, creating a mystical swirl which brings back old memories. Starting off with only 4 flavours, they are increasing their variety in a prolific rate much to the joy of the customers whom they cater to. 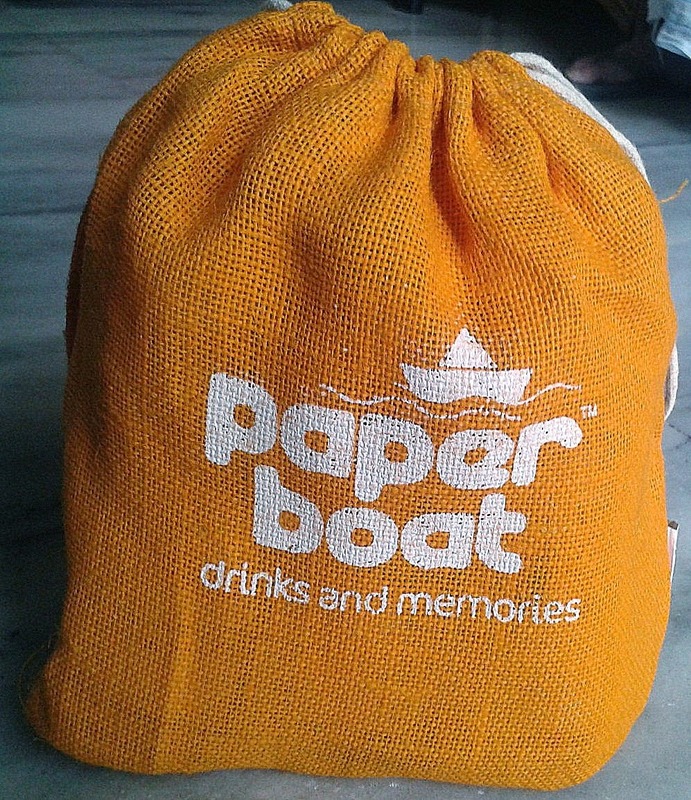 We have tasted 7 of their flavours which they were kind enough to send in a neatly packaged orange gunny bag. 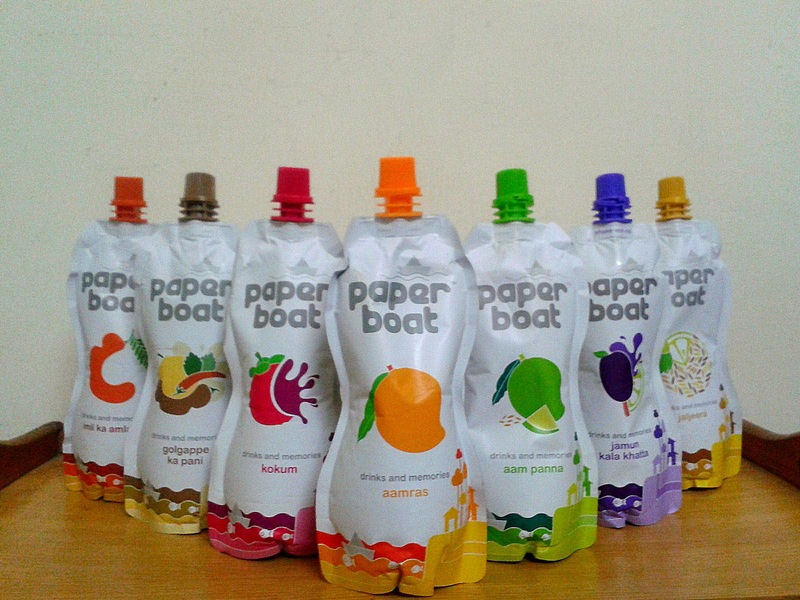 While the looks of the packs inside were cute, they were also designed for keeping the drink fresh and convenient to carry around. While you would argue that Aamras is basically Maaza or Slice, the taste differs significantly. The juice is naturally more thicker and isn't artificially sweet like most of the soft drinks. The sweetness comes from the mango pulp which is equivalent to heaven even by Alphonso standards. 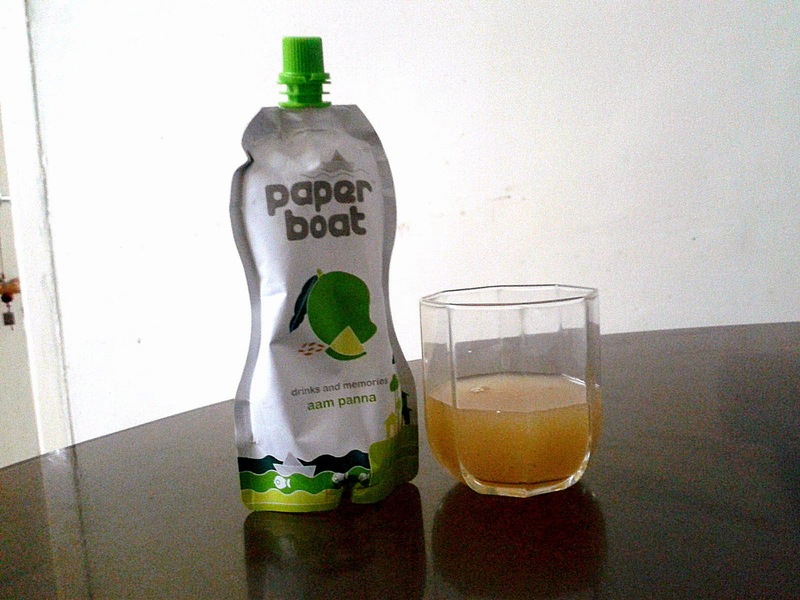 Paper Boat's experimentation with Imli - Imli ka Amana, was a tad bit disappointing as the tanginess has been greatly mellowed down to make way for a sweet and soothing drink. Though the drink gets top marks for originality as no one has ever concocted a drink with imli yet, the natural flavor of imli was greatly diminished. 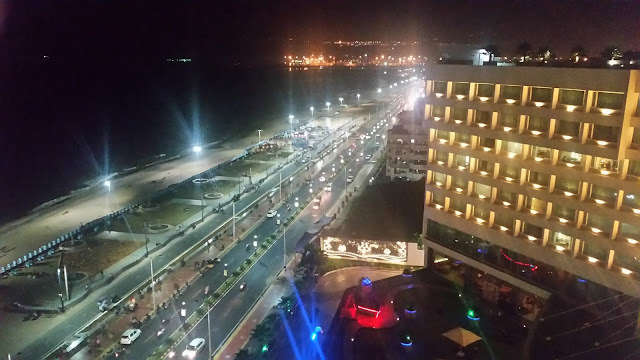 Golgappas, phuchkas, pani-puri - though all of them essentially refer to the same snack , the composition of the water dip ( Golgappe ka paani) is what differs from region to region. The tamarind concoction in the drink has a fine blend of black salt, cumin, red chilli powder, coriander powder and aamchur powder which makes it so tasty. The Paper Boat version is that of the version popular in the western parts the India and is a bit sweeter than its counterpart which is a tad bit spicier. 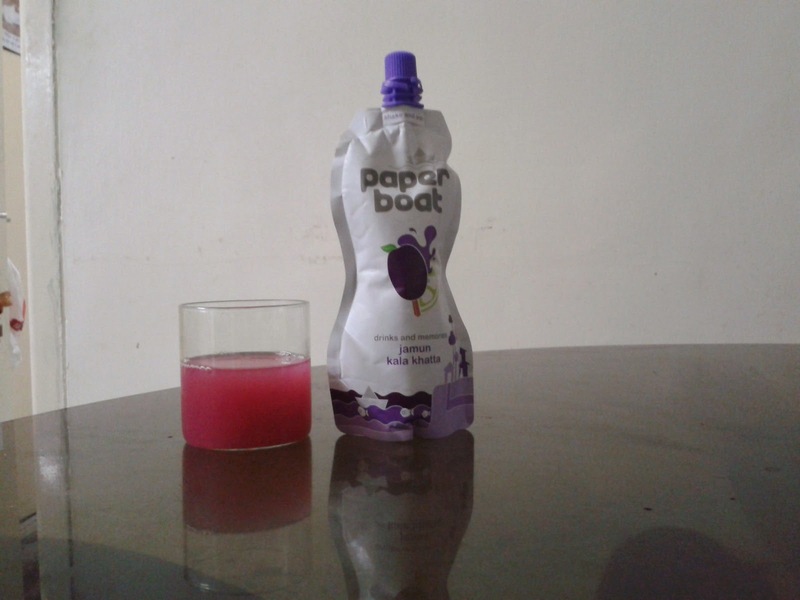 Used as a souring agent in Goan/Konkani curries, the taste of the Kokum juice was a bit surprising to me. It was tangy and a bit spicy, but was equally soothing. The fact that I have never tasted Kokum juice before made this new flavour even more appealing. Aam Panna is everyone's favourite summer time drink. The taste of raw mangoes seems refreshingly good and the spicy khatta meetha taste brings back nostalgic memories of childhood. The Aam Panna is extremely effective against heat waves and heat strokes which makes it extremely popular during the sweaty summers. 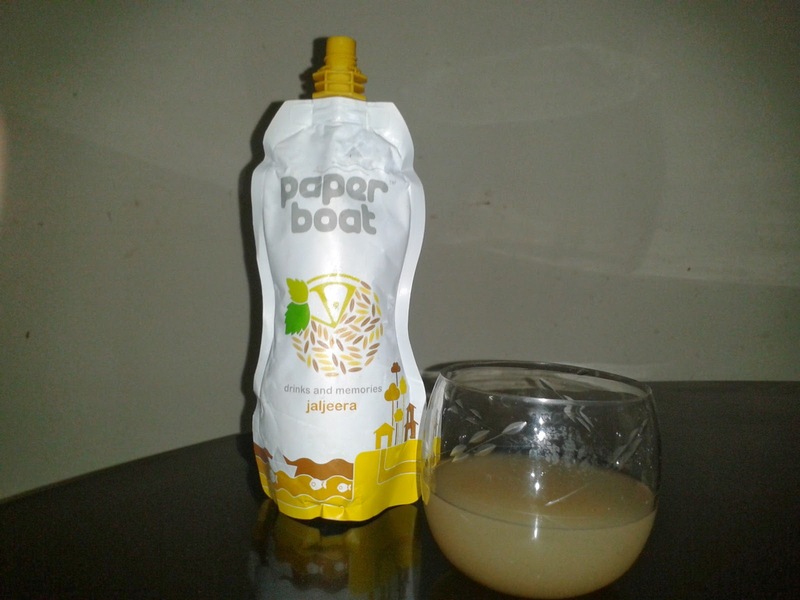 Another popular Indian summer time drink, the Paper Boat Jaljeera is the perfect infusion of cumin, rock salt, lemon juice and black pepper. Technically, there are two versions of Jaljeera which are famous in India, the spicy one and the khatta meetha one - the drink in the pouch is of the khatta meetha variety. Other than the sweet and heavenly taste, the jaljeera serves to cool the body and the jeera along with black salt in the mix aids in digestion. The flavor of the drink is predominantly salted Jaamun, rather than Mumbai Kala Khatta. The juice is spiced up, tangy and leaves a faint aftertaste which can be expected from Jaamun flavored drinks. Fortunately, unlike the common Jaamuns, it doesn't leave a bluish tinge on the tongue, which makes us more presentable even after drinking gallons of the juice. 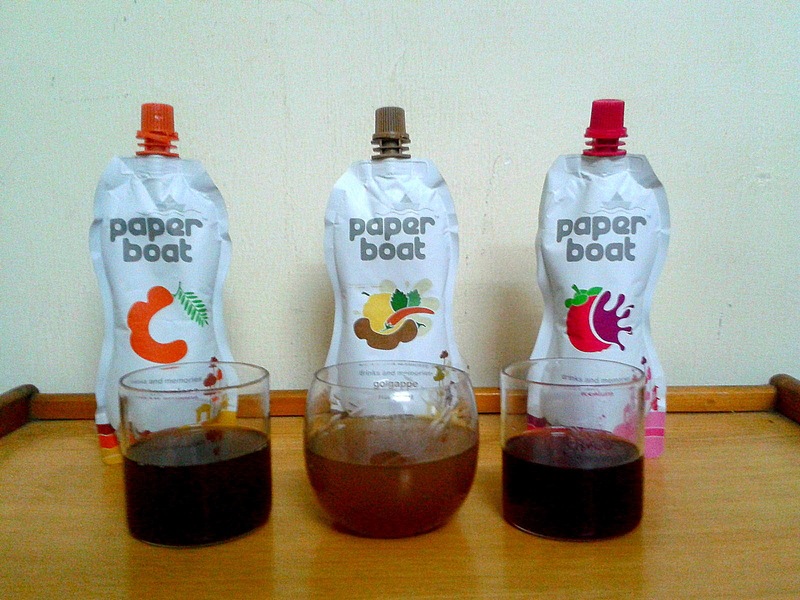 Also, it is the only Paper Boat juice on which 'Shake and Sip' is mentioned just below the bottle cap. 30 bucks for a pint sized pack is reasonable?! Get real. I don't know if you were trying to be punny, but I shall respond such that either way, both your questions are answered. According to me, the cost justifies the product. 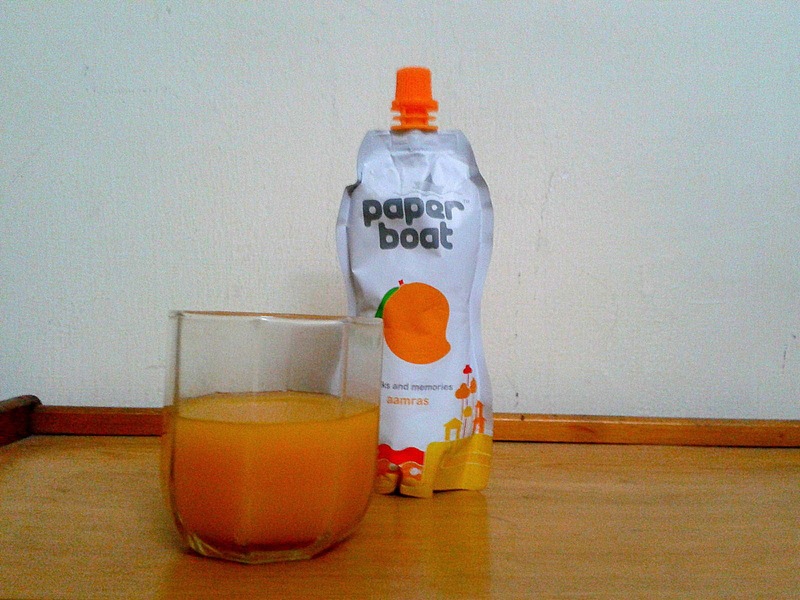 If you do get Real Juice tetrapack which is 200ml for Rs 20 or Tropicana which is exactly the same rate then essentially you are just paying Rs 5 extra (250ml would cost Rs 25) for the Paper Boat natural flavoured drinks with no additional preservatives. A small extra price to pay for such added bonuses. Tasted almost all of the varieties except for Imili ka Amana and Golgappe ka Paani. I liked Kokum the most, followed by Aam Panna. And in response to the comment of Sudhindra, I would say, yes it is justified and much better compared to the other packaged drinks which I have tasted so far. Do give Imli ka Amana a try, it is one of my favourite flavours, right after Aam Panna and Jaamun Kaala Khatta.